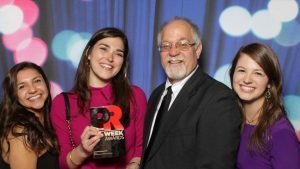 TUSCALOOSA, Ala. — PRWeek has named University of Alabama junior Maret Montanari its Public Relations Student of the Year. Montanari, of Beaumont, Texas, is UA’s first PRWeek Student of the Year winner. This year, PRWeek’s campaign prompt challenged applicants to create a campaign, using digital channels to increase millennial visitors to the state of Delaware. Montanari’s campaign, “Delaware on Demand,” capitalized on creating a customizable travel experience for interested visitors. Montanari serves as firm director of Capstone Agency, UA’s nationally affiliated, student-run, integrated communications firm. As graduation approaches next spring, she is still determining her career aspirations, but is interested in working in an agency as an account executive. Montanari was not the only UA finalist at the PRWeek Awards. For the eighth time in the 10 years, The University of Alabama department of advertising and public relations was top five in the Education Program category. Additionally, Jacquie McMahon, an advertising and public relations graduate, received honorable mention for Top Young Professional. McMahon graduated from UA with a degree in public relations in 2015 and works as a senior account executive at Ketchum in New York City. The department of advertising and public relations is a part of the College of Communication and Information Sciences at The University of Alabama. For more information about the College, click here.